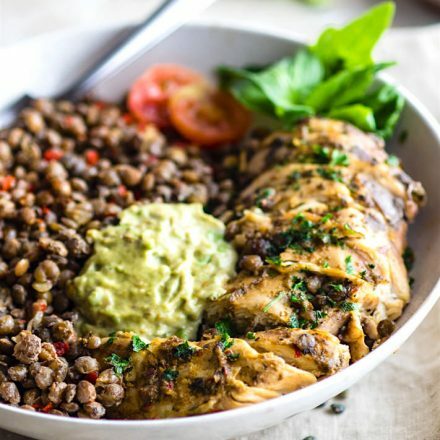 Simple Garlicky Green Crock-Pot Chicken and Lentils! A FLAVORFUL and fresh gluten free crock-pot chicken recipe that’s packed full of fiber, nutrients, and protein. Easy to make in the crock-pot, healthy, and great for ANY time of year. Make it for the family or for weekend meal prep. Let’s just put it out there. Travel is awesome but also throws you you so off. Am I right? I’m currently getting back from a press/nutrition trip from California and all I want are GREENS GREENS GREENS and some good protein. 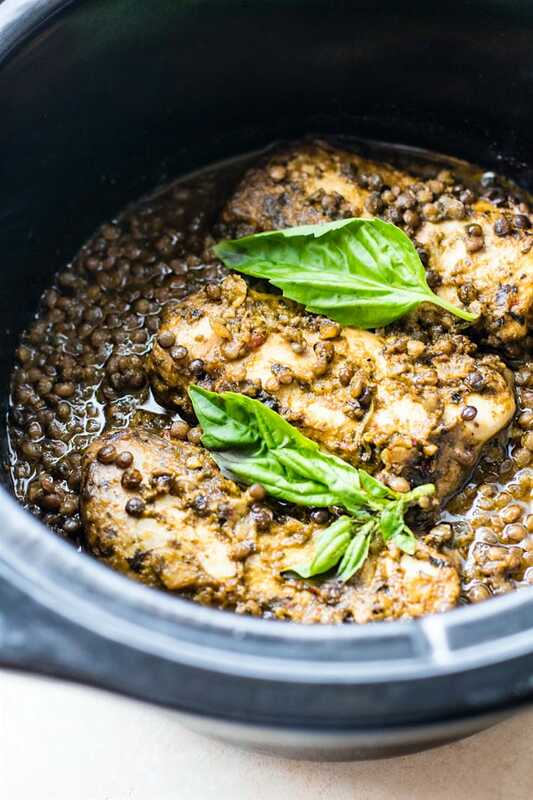 Hence this Garlicky Green Crock-Pot Chicken and (green) lentil recipe. Haha, yes, GREENS all around! Bu at the same time, simplicity. I want a good bowl of nourishment and recipe that will last us all week until I really go the store for restocking. And I may need some extra fiber.. I’m sure you can relate. Resetting the system. You know… feels good. Well you’re in luck! And so am I. Because I just so happened to make this crock-pot chicken and lentils recipe last week, froze it, and now we have some for this week. I’m smart, or so I think. In all seriousness, the moment I made this “springy” green crock pot chicken recipe, I just knew I had to share. It’s a lifesaver! For convenience, for health, for all the flavors! I looooooove that combo. Don’t you? Oh and it’s gluten free, dairy free, and nut free. High fives ya’ll! The key to making this dish extra flavor is the garlicky green sauce marinade. It’s pretty easy to do and is packed with so much freshness! You got basil, mint, orange juice, garlic (lots of it), sweet onion, chili pepper, sea salt, and pepper! No really, all that combine with chicken over green lentils creates a masterpiece. It’s so fresh and flavorful tasting even when you’ve cooked in the crock-pot all day. This garlicky green marinade also acts a part of the “broth” for the french green lentils. When you slow cook lentils in a broth or marinade of some sort, you REALLY get more bang for your buck. You see, lentils (legumes) contain a great source of minerals such as magnesium, calcium and iron, but sometimes the phytic acid can block that absorption. 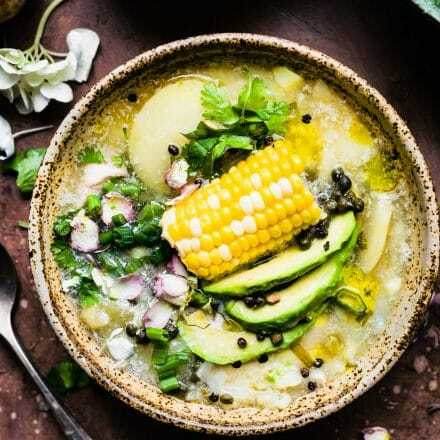 By soaking and slow cooking, you’re getting better nutrient absorption and digestive support because soaking and slow cooking helps break down the phytic acid. Slow cooking also creates amazing flavor and of course convenience. Plus lentils (slow cooked or not) make a great staple for a one pot wonder and/or gluten free bowl kind of meal. See, more bang for your buck! 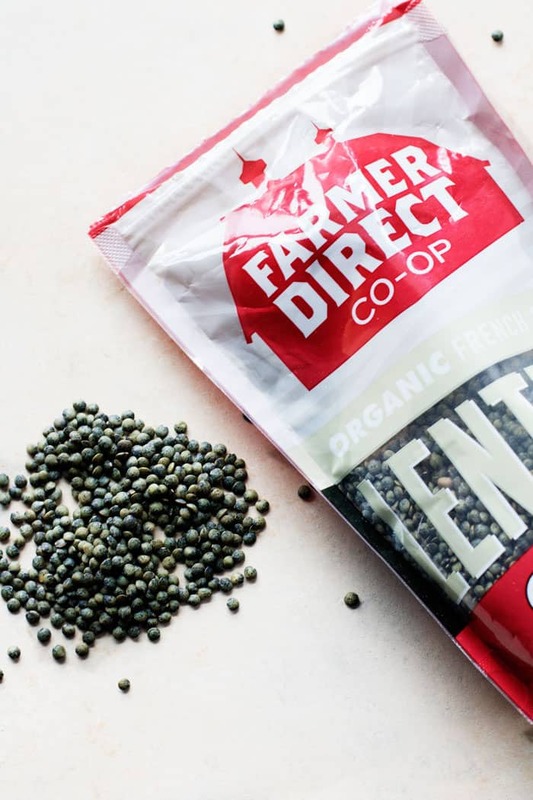 OKay, now it’s time to brag about these Farmer’s Direct Co-op Lentils. They need more than a post to brag, but you’ll get what I’m saying here. QUALITY company and products = happy healthy consumers. WINNING! Farmer Direct Co-op is owned by it’s organic family farm members. Farmer Direct Co-op is the first organization in North America to achieve domestic fair trade certification through the Agricultural Justice Project. What does this fair trade certification mean? Well.. .LOTS! It means there is a minimum 95% certified organic ingredients, 100% certified fair trade ingredients, and 100% of raw materials sourced from farmer co-ops/family farms. Ahhh yes, so so refreshing to hear that, right? Family owned farmers and organically grown. Makes me heart so full and my tummy happy! Speaking of tummy. Let us EAT! Rinse your chicken and your lentils. Dry and set aside. Next maybe sure all your veggies for the green sauce are cleaned and chopped. Combine in a blender until green marinade is formed. Place chicken on top and then pour the green sauce over the chicken. It will look soupy but it keeps the chicken more moist. See notes for other marinating options. Cook on low for 4 -6 hrs (until lentils/chicken is down) or high for 3 hrs. There will be a nice sauce from the broth and green marinade combined. Serve the lentil and chicken in a bowl and place some of the broth on top. If you want to make the avocado cream, just combine 1/2 avocado with the yogurt until a dip is formed. 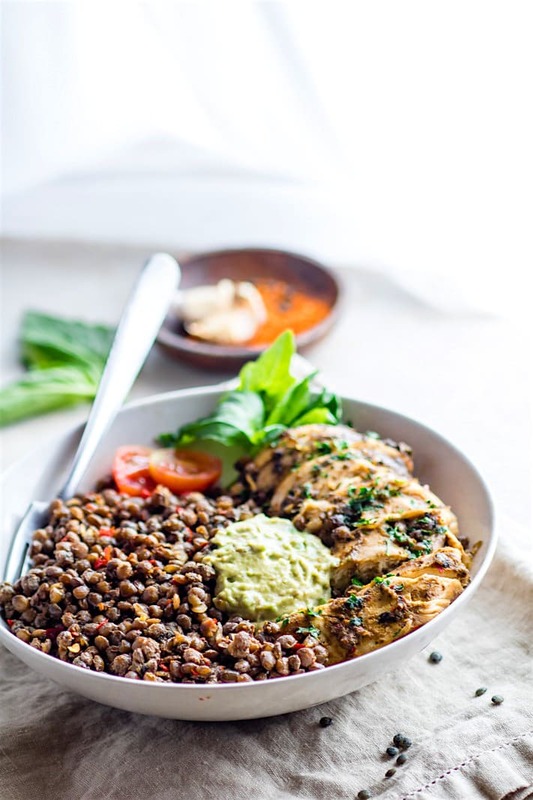 Place a spoonful on top of chicken and lentil bowls. 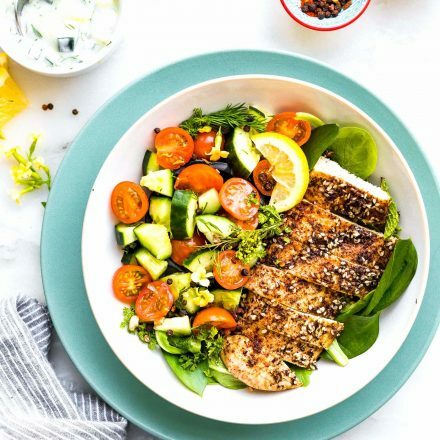 Ya’ll, a tasty fresh nutrient dish under 500 calories and 20 % Iron! That’s pretty amazing! Hope you grab a bowl and serve us some this week! Keep me posted if so, mmmm k? 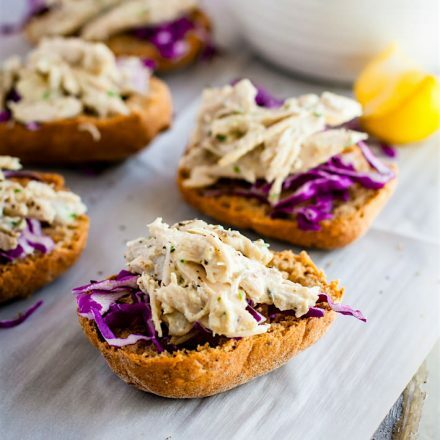 What’s your favorite way to use a crock pot Chicken recipe? Have you ever tried French Green Lentils? Um —> YOU MUST! They are so good! Thank you to Farmers Direct Co-op for sending me some delicious lentils to try. We approve and hope many others get to try them. P.S They just started selling them at whole foods, yea! You are so smart for freezing this! I always consider myself a bad traveler because I’m thrown way off no matter what, but I guess everyone is to some extent. The marinade in this sounds incredible! the freezer is my best friend! haha. Next to the crock pot that is. You know I love my Crock Pot, and this is such a unique and healthy dish that’s full of BIG flavor. YUM! You had me from “garlicky” BUT SERIOUSLY. Also, I’m loving the crock pot lately and trying to use it more and more, despite the weather being slightly warmer. It definitely makes my life easier. Oooh Lindsay, that minty, basily, orange-paprika sauce/marinade sounds so totally yumalicious! What a fantastic idea to combine it with those lentils! And imo, that Green Avocado Yogurt is so totally not optional – what a lovely recovery meal after your trip – am bookmarking this to make after summer vacay! I knew you would appreciate this sauce. Like so refreshing! p.s I don’t get your emails for blog updates anymore. Did I do something to unsubscribe? 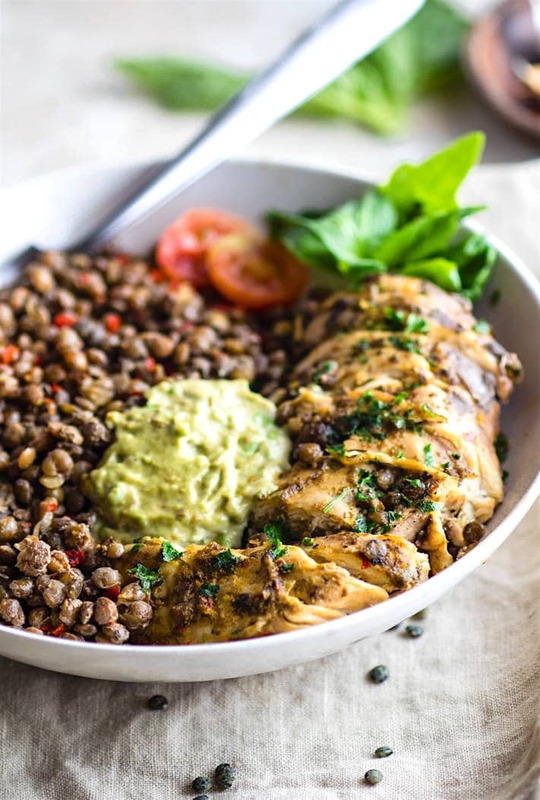 I am loving this combo of chicken and lentils and of course, anything in a crockpot you know I’m always on board with! I hear ya, sister, only a few-day trip can throw me off kilter for a week or so, and I typically get home craving alllll the kales. 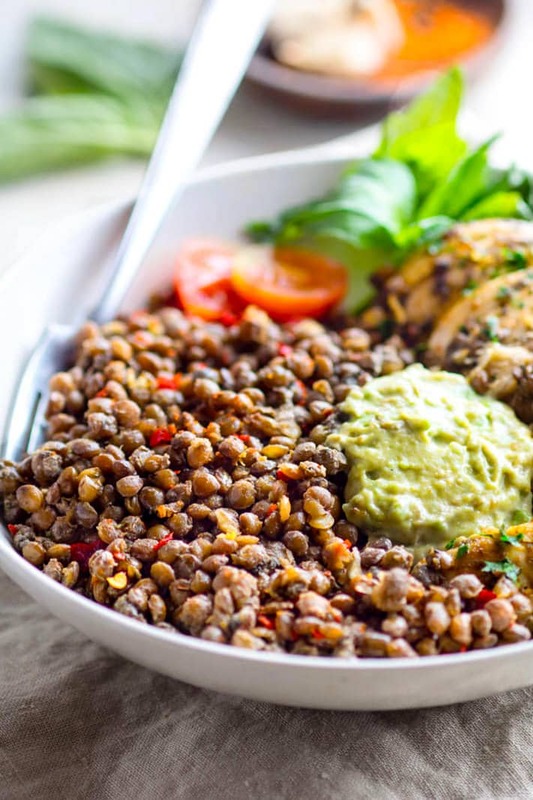 I’m loving this super nutritious bowl and now you’ve got my mouth watering for lentils. Love it! now you have me craving kale! LOL! you’re not lazy! LOL! But slow cooking helps with the lentils. so that’s easy too! let me know whatcha think! 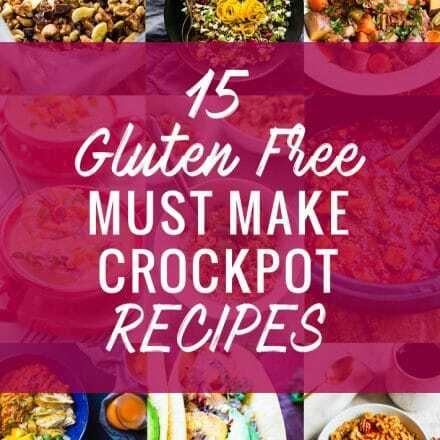 I am all about the crock pot! And this combo of mint juice sounds amazing. Sharing this with my runner’s reset group! thank you friend! let me know if any of them have questions or try this! I love a great crock pot meal, this has my name all over it! And those photos, I could eat the screen! Welcome home, Lindsay! Yes…I always feel the same after traveling…love to come home to fresh veggies and lighter fare. Lentils happen very regularly in my house…they are so versatile and super delicious! 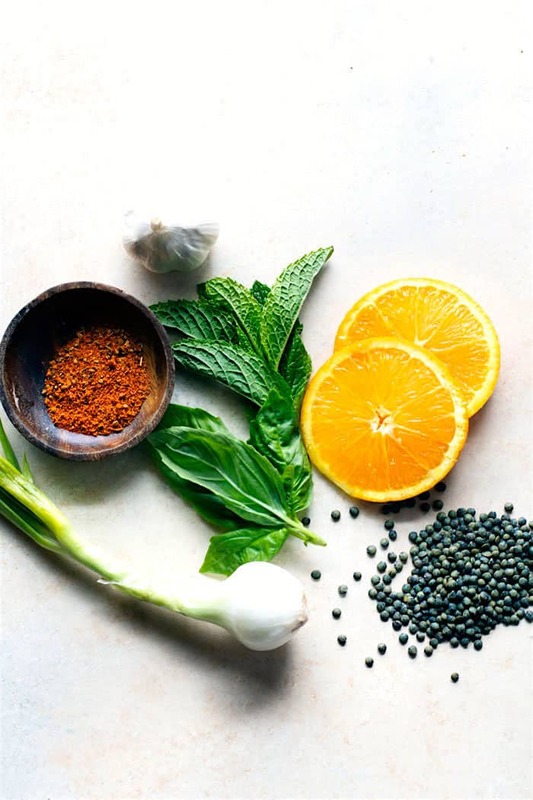 Love this recipe…the green sauce with that bit of orange juice? Ahhhh…so good! Sauces like that make the whole dish! Too many peanuts, Lindsay?! JK! I totally know what you mean about needing your greens after traveling! This looks delicious! Believe it or not I don’t have a crockpot. How would you modify cooking to make it in a dutch oven on the stove? Totally! Or just one big stew pot. I would try medium low or medium for 60-90 medium first and see how the lentils and chicken cook up after 45. Adjust after that. Does that make sense? HOpe you are catching up but a Napa trip – lucky you!!! as much as i love vacation, im ready for greens and working out. i will have to definitely make this once im back. love that it is slow cooker version!!! Yes! Hope you are having a great time! Yum! This dish looks delicious! My sister loves lentil, so I gotta share this recipe with her! My mom loves making lentils. I’ll have to share this with her!I haven’t tried yet but this looks delicious. 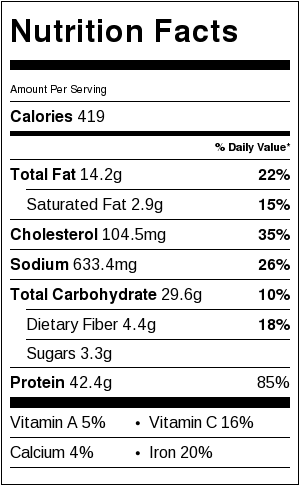 My only concern is that I believe I’ve seen that lentils are very high in calories and carbs, so should I realy be watching the serving size? Hey friend! I only used a cup of dry lentils which serves about four. So the the calories including 1/2 cup of lentils are included. They have tons of fiber and protein so this is a filling recipe for sure! Great for post workout or for multiple meals. Does that make sense? yes thanks! makes me laugh because when my mom makes it we are DEF overeating the lentils haha. They are so good it’s easy to go back for more and more. This looks so good! I love lentils but don’t cook them often enough. Thanks so much for sharing this – you’ve inspired me. let me know if you give this recipe a whirl! Lentils are amazing. I love them. They are so healthy and nutritious and can be added to so many recipes. Now I want dinner for breakfast! Looks delish! ohh yea breakfast of champs for sure! 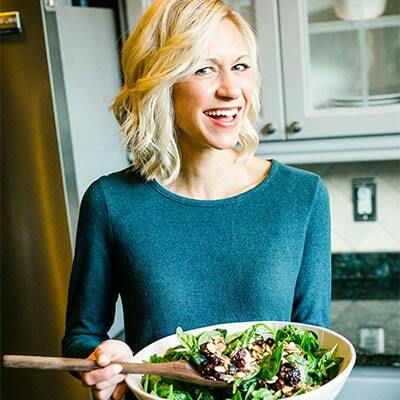 I literally just “lost time” browsing your beautiful new site and gorgeous recipes & photos Lindsay!!! Woah…I am kinda…MIND BLOWN. Seriously! Excuse me, I need to keep browsing and pinning! Not only pinned and tweeted. Actually printed too. Delicious as always Lindsay. Look at those beautiful lentils! I totally have to get a crock pot just to try making them! This whole recipe is superb with all of the medley of flavors that go into it! I love lentils and the flavor combination here sounds fantastic. Well done, my friend. thank you hot mama! <3 how are you? This sounds so yummy! Can’t wait to try. Question though, what did you use for the chili pepper seasoning? Did you use chili powder, cayenne pepper, or crushed pepper? Or was it something else? Hey Blair! I used crushed pepper to blend with green sauce but I’ve used cayenne/chili powder blend before too. Both work. The cayenne is smokier in taste though. Hope that helps. I just love this website! Do you think you could make multiple batches of the green marinade at once and freeze them separately to use at a later date? I think so! Definitely try it. It’s such a good marinade. Sure! The red flakes are red pepper flakes. Love me some protein + basil! Awesome flavors!! Hi Lindsay, I would like to make this recipe but I don’t have a slow cooker, just an instant pot…how would you adjust the cook time/settings? Thank you! Young-Mi G.
I would try adding oil to the instant pot then adding in your chicken and browning it for a few minutes on sauté first. Then add in your lentils and your marinade and mix it all together. Add the broth or water after that and mix again. Close the lid and pressure cook for 20 to 25 minutes with slow release. I might even say 22 minutes depending on the thickness of your chicken. I haven’t tried in the instant pot so I can’t guarantee you this, but let me know if you give it a whirl. Hope that helps. Does that make sense? 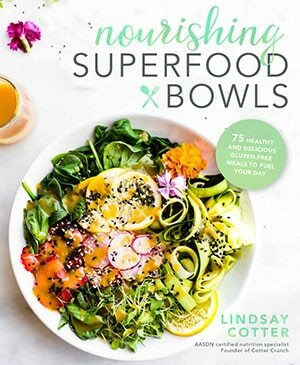 Whoa Lindsay, I just discovered your site while searching for salmon + blueberries and found Superfood Baked Salmon which, side note – was amazing and completely wowed my guests!). 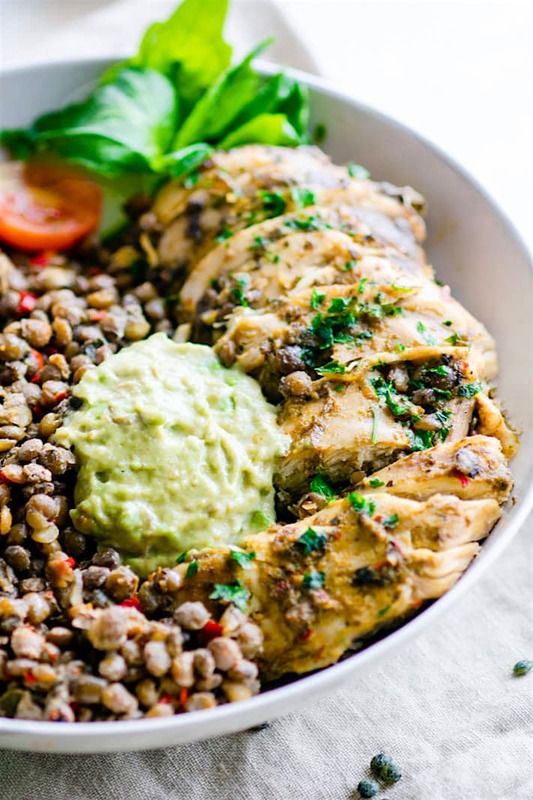 I made the Garlicky Green Crock-Pot Chicken and Lentils last night and OMG so, so good. The chicken was tender, the herb paste was incredibly tasty and the lentils an extra bonus. About a half hour before the dish was complete, I threw in a bunch of kale to add some greens. I’m a fan of your site and can’t wait to try more. Thank you for sharing your passion.